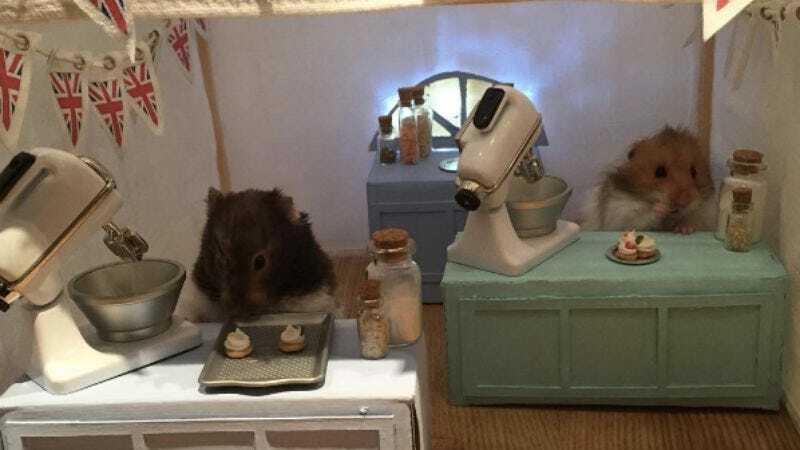 Borrill’s scenarios have finally received national recognition with her latest creation: the beloved tent kitchen of The Great British Bake Off. That endearing series has seen some unrest as of late, losing hosts and whatnot. Borrill’s recreation reminds us what made the show so popular to begin with: just a few cooks, trying their hardest to create the perfect concoction with their tiny hands. Borrill has more adorable hamster pictures on her Instagram account.